Conversations drive relationships, relationships promote trust and trust influences action. To be brief, conversations lead to action, whether acquiring that sale or subscribed user. So why aren’t you saying more online? Or the real question might be, how can you enable your voice towards greater impact? Impact and garnering respect and responses really doesn’t have anything to do with how loud or how frequently you shout your message, but is how authentic, relatable and useful your content. Whether it’s content delivered via technical tutorials, social media news, forums or via a company website. The traditional approach is to shout your message as loud as you can to as many people as you can and the shear reach of your message will guarantee sales. This method is reserved for companies with billion dollar marketing budgets who gamble in large markets hoping to attract enough eyes without any method of measuring success. In recent times these methods are yielding lesser results per dollar with increasing pressure on measuring bottom line successes or, in some cases, the extent of failure. So what works in the year 2014 and how can we attract more eyes and pierce through the noise in a digital age when everyone seems to be screaming something? While sticking within budget of course. Let’s discuss some simple foundation principles as a start. When networking at a business event or some corporate meetup, we approach everyone we can to discuss whatever that comes to mind whether its related to the market or some topic that came up at the event, ask about each others’ lives, hand out business cards, laugh, share stories, etc. Its no different online, the problem is that most of us have become greedy and aggressive and are so desperate to have our product or service promoted that we forget about genuine communication and lose respect for others in the community. We pull all sorts of wacky marketing stunts that insult the intelligence of viewers and try to shove our message down their throats. All of this is evident when we setup social media accounts and all we do is promote, promote and promote, we get a new follower and we have some bot send out an auto tweet to say “thanks for following, by my product” or we just never have anything to say unless its about our lives and business while ignoring others in the community. This is a selfish and one sided approach and if all marriages and friendships were run this way, we’d have way more divorces and broken and dysfunctional families. Find interesting things to talk about online. Every conversation doesn’t have to be directly related to your niche. 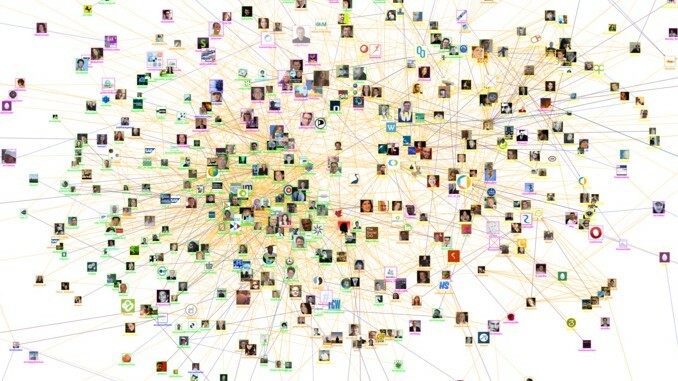 Use search.twitter.com to find conversations already happening and jump in and have your say. Comment on other websites, blogs and forums in your market. This is where you’ll find a lot of interested prospects. Don’t let your comments be the common mundane “Great article!” comment but provide useful insight and feedback on the topic at hand. Answer questions posed on your timeline. Whether its directed at you or someone is throwing it out there asking for help. Be human, being the CEO of your company doesn’t mean you have to be in a business suit at all times. That’s just not real and relatable anymore, be natural. Respect Your Audience. Everybody is Relevant. Respect is a quality earned the hard way, there’s no shortcut and a booming advertising campaign doesn’t necessarily mean that your audience respect and look up to you; your message might just be a passing fad. Garnering the respect of your audience means that they value your opinion, they’ll recommend you, your products and services to the people they love and trust. That’s the most powerful impact. Ensure your marketing decisions are influenced by principles of integrity, never misleading your audience and treating and engaging all in a respectful manner. Be genuine towards those you talk to and build relationships not based on the prospect buying something from you but sharing time with someone. The sales will come.